Russia, will take on the world’s best biathletes over the course of the 2017-2018 season. 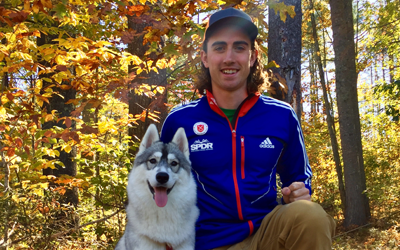 Carrying the support of Rapid Insight and his hometown fans, Doherty hopes to earn a spot on the 2018 United States Olympic Biathlon team. The 2018 Games take place in PyeongChang, South Korea in February. place Dec. 8-10. The calendar year wraps up with BMW IBU World Cup 3, Dec. 14-17, in Annecy-Le Grand Bornand, France. Doherty stopped by the offices of Rapid Insight before he headed to Europe. Here he is with office dog, Mika. Laracy, these common threads made the decision to continue its sponsorship support an easy one. 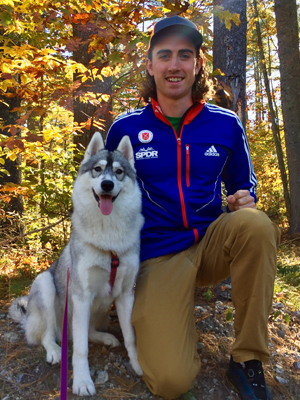 A deeper look at Doherty, including interviews, results and background can be found at his personal website, seandohertybiathlete.com. Rapid Insight products empower users of any skill level to quickly turn their raw data into actionable information. The company’s analytic software platform simplifies the extraction, analysis, reporting and modeling of data for clients ranging from small businesses to Fortune 500 companies.